After launching just last year, we now have the 2019 Toyota CH-R to enjoy with two new trim levels of LE and Limited bookending the XLE that carries over from last year along with the XLR Premium. So, here's what to expect when you come to check out a 2019 Toyota CH-R for sale in Fort Collins here at Pedersen Toyota. striking, distinctive, contemporary and possibly even futuristic model in its segment. There are kinks, curves, angles, edges and points everywhere you look. Despite such a striking style, the CH-R, which Toyota says stands for "Coupe, High Riding," actually looks smaller than it really is when the measurements are carefully considered. Not everyone will like it, of course, but most will, and a good proportion of its admirers might just love it to bits. expanding family it still comes with an impressive amount of standard equipment. Standard features include: cloth upholstery, daytime running lights, 17-inch alloys, Toyota's latest suite of advanced safety features, dual-climate control, Bluetooth, and an 8.0-inch touchscreen infotainment system with Apple CarPlay compatibility. At the opposite end of the scale, the CH-R Limited adds the likes of leather upholstery, power-adjustable front seats, a premium audio system, 18-inch alloy wheels, blind-spot monitoring, keyless ignition, and fog lights. If you’re looking for a spacious, family friendly interior you might want to look elsewhere at one of Toyota's other excellent crossovers as the C-HR is meant to be that sort of vehicle. It shares a platform with models including the Prius and Corolla, but the contemporary, expressive shape of the compact Toyota doesn’t into interior. The cabin is as modern and stylish as the exterior - it's a nice blend of modern, sporty and functional and there's a decent amount of headroom for six-footers in the back. If you love the look of the exterior you won’t be disappointed with what you find inside, but those sitting on the fence about the silhouette will find it reassuringly normal inside, compared to the exterior. 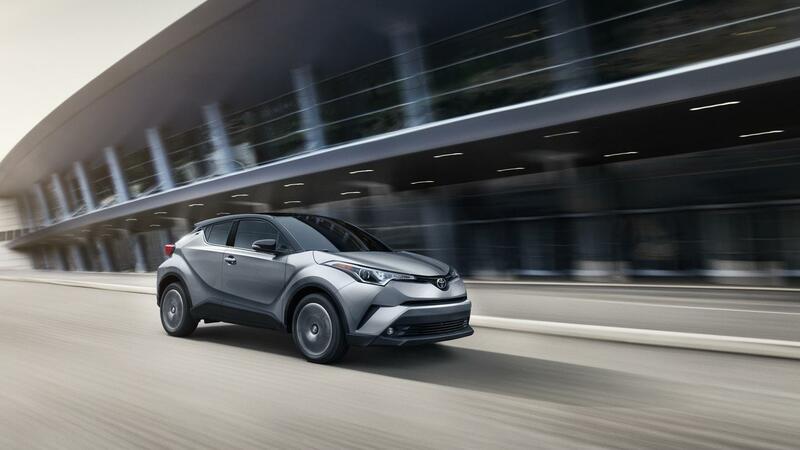 Toyota keeps it nice and simple in this area with just a single powertrain featured in all versions of the 2019 C-HR. The 2.0-liter inline four's 144 horsepower and 139 lb.-ft. of torque is plentiful for the Toyota CH-R. A CVT transmission and front-wheel drive are also standard throughout the family, and the whole system combines to deliver excellent handling and steering and a very enjoyable drive for a crossover of such compact proportions. 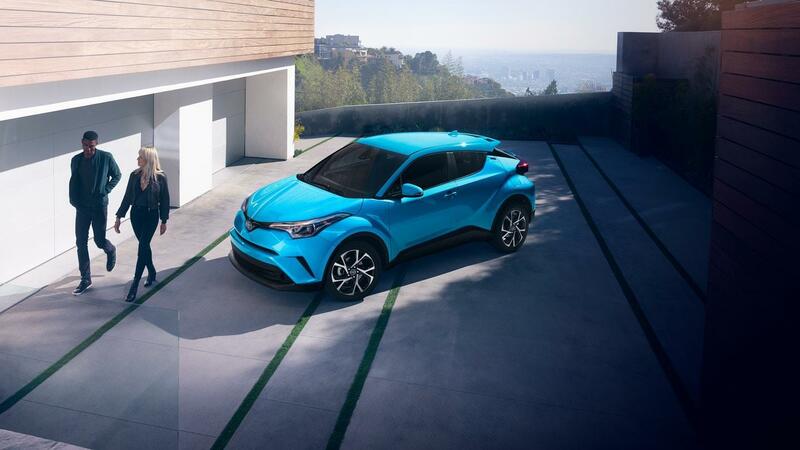 For more information about pricing and availability and to schedule a test drive in the 2019 Toyota CH-R, don't hesitate to get in touch with us here at Pedersen Toyota today.